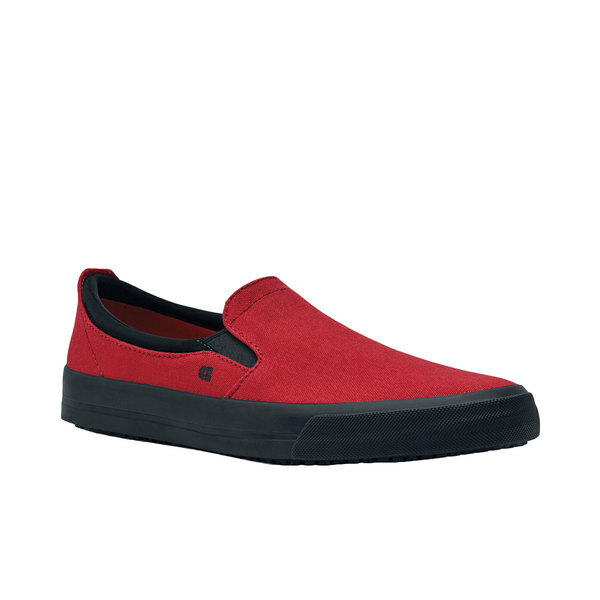 Stay comfortable on your feet behind the bar or serving guests with this Shoes For Crews 33700 Ollie II men's red water-resistant soft toe non-slip canvas shoe. 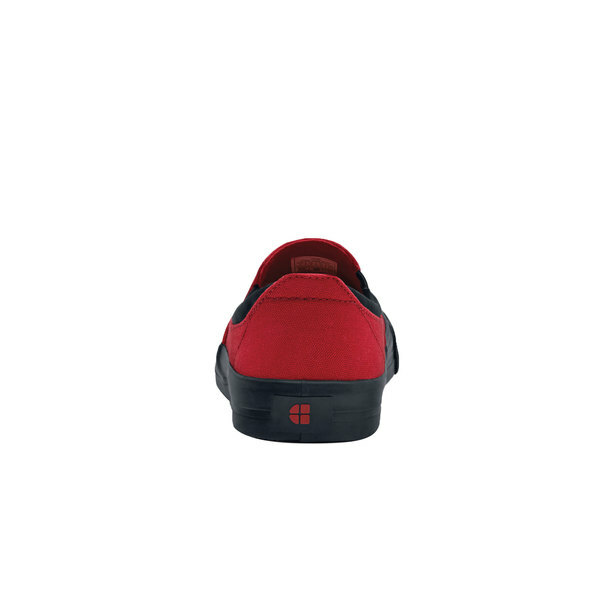 Thanks to its ventilated and natural fit design, this shoe is the perfect option to wear for completing casual tasks. 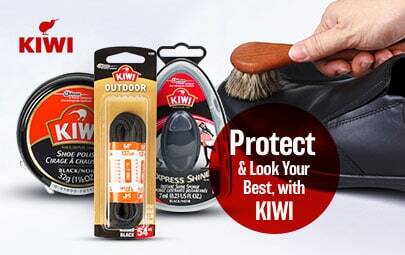 Inside, a spillguard protective membrane lining redirects any hot liquid for the ultimate protection. 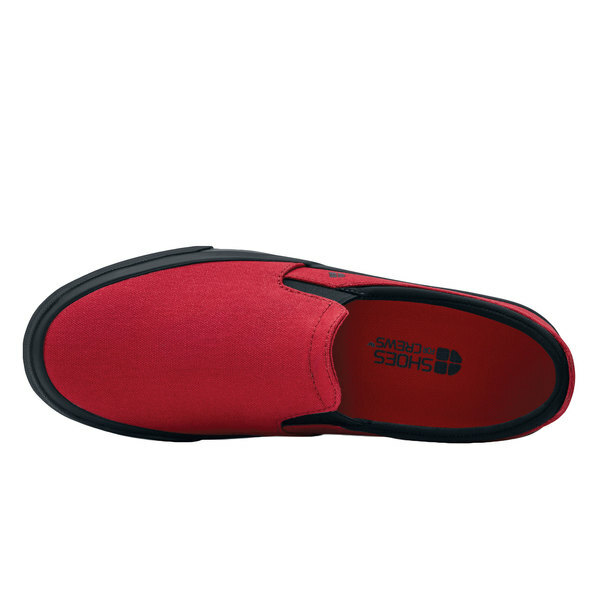 A removable cushioned insole and padded collar also provide a soft inner layer that reduces stress from standing or walking for long periods of time. 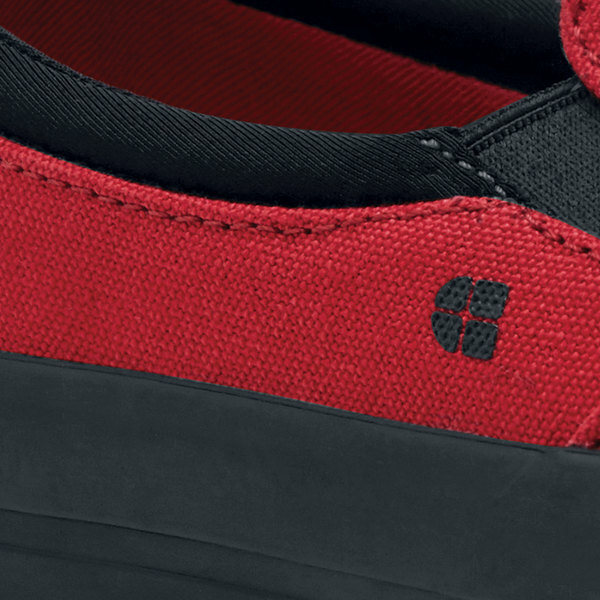 With your safety in mind, Shoes for Crews has been creating high quality footwear since 1984. 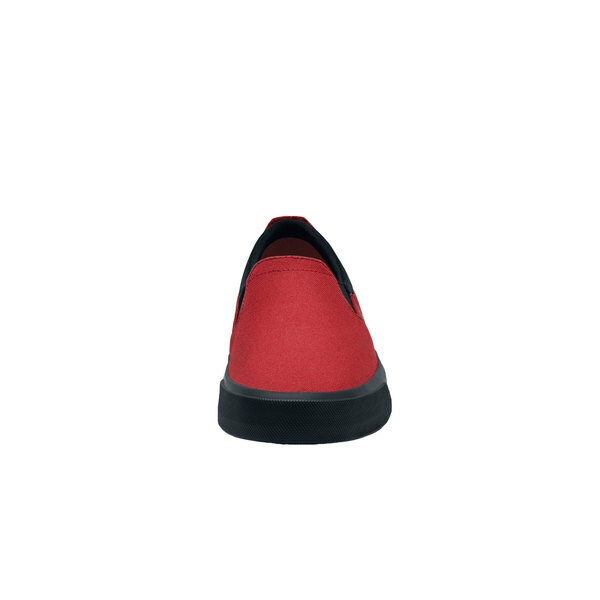 Their shoes are designed to have the best slip-resistant outsoles, so that you can complete your work quickly and carefully. 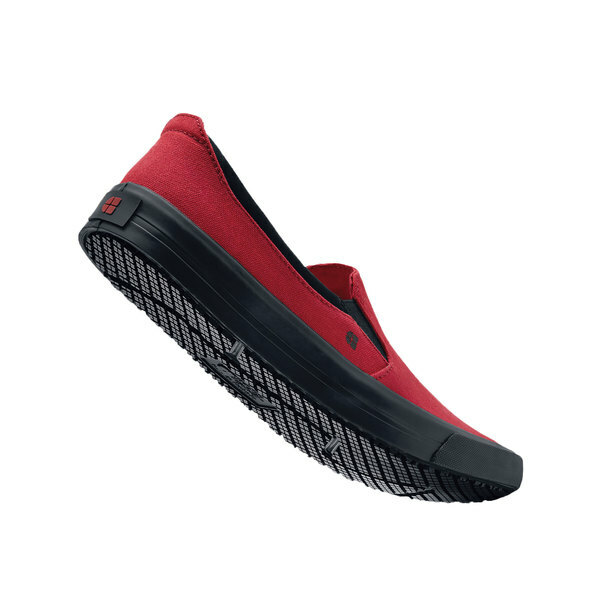 Combining comfort, technology, and design, their footwear offers a practical and stylish solution great for frequent use.